Daniel Zuchnik/WireImageCurtis “50 Cent” Jackson is a man of many talents, but apparently baseball isn’t one of them. 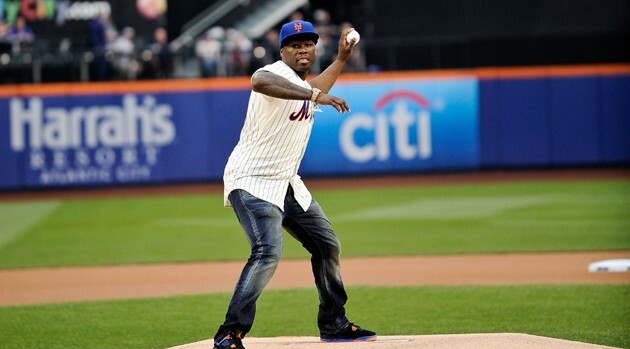 The rapper, actor and entrepreneur threw out the ceremonial first pitch at Wednesday night’s game between the New York Mets and the Pittsburgh Pirates at New York’s Citi Field and didn’t even come close to getting it over the plate. The Mets had better success, beating the Pirates by a score of 4 to 2.